I came across this band many years ago when my little sister came to visit me and she was listening all the time the same music- all the time again and again. It was really catching sound and soon I realized I liked it. Petra left and the music was all the time in my mind. Later, I found out which band was it. 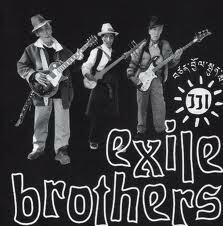 JJ Exile Brothers is a mix of traditional Tibetan sound and modern rock. I especially like the guitar sound, it’s as simple as good and very easy to get you. As a fan of world music I like the ‘fusion’ between traditional and modern sound. I couldn’t find much information about the band, maybe someone is more familiar about them. I presume the are based in India.